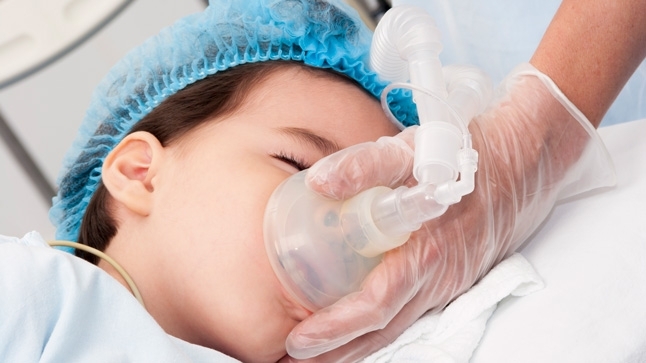 The Food and Drug Administration (FDA) recently issued a new warning about the use of anesthesia and sedation drugs in young children and pregnant women. If you’re planning to schedule surgery or another procedure that requires sedation, it’s smart to understand the basics and any risks you or your child may face. Here’s a breakdown of the things you should know. What does the FDA warning say? The FDA has warned against using general anesthetic and sedation drugs repeatedly, or for more than 3 hours during surgeries or other procedures in children younger than 3 years or in pregnant women in their third trimester. The warning is based on evidence that repeated or lengthy exposure to general anesthetic and sedation drugs could affect the development of growing brains, and may lead to long-term changes in learning and behavior. The warning only applies to repeated or lengthy use of these medications. Research suggests that a single, relatively short exposure to anesthetic or sedation drugs in infants and toddlers is not likely to have harmful effects on the brain. Is this based on new research? Most of the evidence for potential problems comes from animal studies, though the FDA has been investigating the effects of general anesthetic and sedation drugs on children’s brain development since 1999. While the research is not new, there was concern that not everyone who was using these medications was aware of the possible risks. The FDA decided to issue the warning to raise awareness. What if I (or my child) need surgery? Anesthesia and sedation drugs are a necessary part of surgery. They’re also beneficial during many procedures that can be uncomfortable or stressful. Procedures and surgeries in pregnant women and young children are often performed to treat serious, sometimes life-threatening, conditions. In those cases, the risks of putting off the surgery are greater than the risk posed by anesthesia and sedation drugs. Bottom line: You might want to think twice about repeated surgeries that are not urgent, such as cosmetic procedures. But don’t delay a necessary surgery because you’re worried about anesthesia. A single, relatively short exposure to the medications is unlikely to harm your child. Even in cases where repeated or prolonged anesthesia is needed, the benefits may outweigh the risks. Talk to your healthcare team to discuss the pros and cons. Like you, they also want what is best for your child. Learn more about pediatric anesthesiology at UCLA Mattel Children’s Hospital.